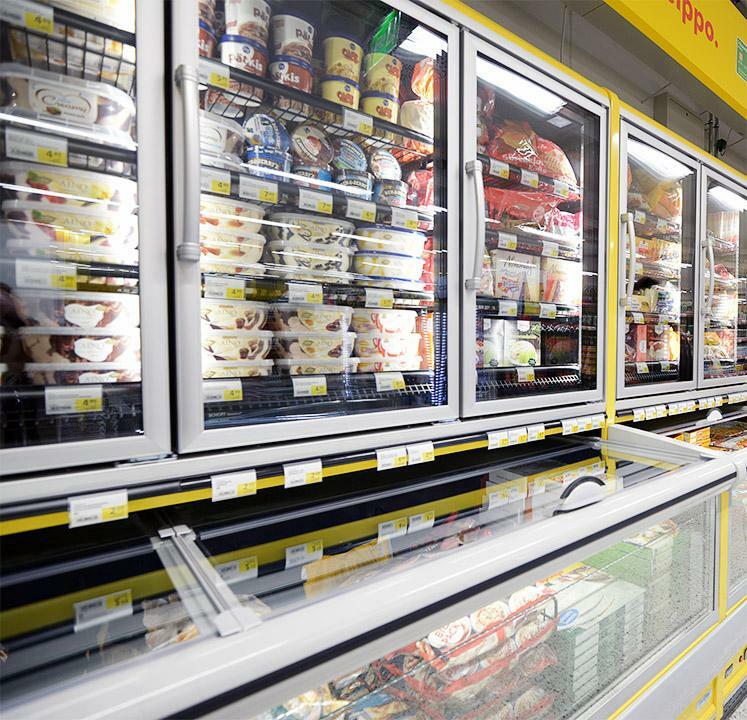 Three newly opened grocery stores in Finland implemented energy-efficient and environmentally friendly refrigeration solutions by FREOR. Stores have selected FREOR’s environmentally friendly refrigerant propane R290 driven plug in cabinets with Hydroloop Hybrid refrigeration technology, which allows connecting plug-in refrigeration equipment to the liquid-cooled system, in which excess condensation heat is removed through liquid pipes to the exterior of a building. 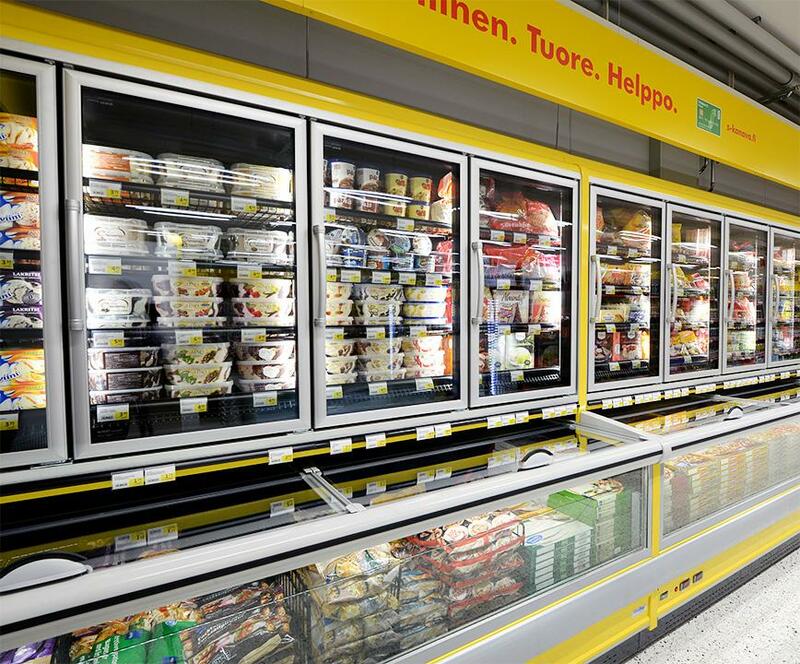 Stores Alepa, Sale and S Market, in which FREOR refrigeration equipment is installed, are owned by the Finnish retailing cooperative organization S Group. 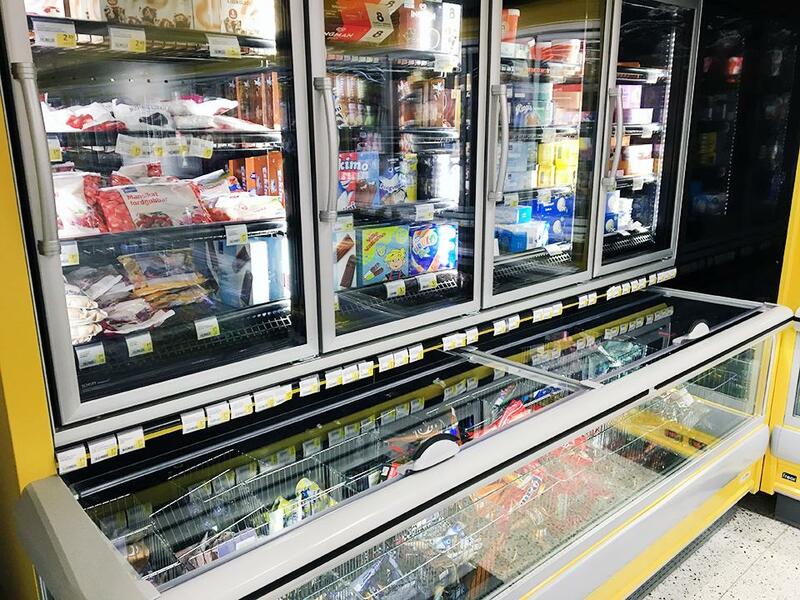 In cooperation with our partner CoolFors Finland Oy we have installed in these stores (with an area of 300 square meters and two with an area of 2,000 square meters) combi freezer cabinets DELTA with R290 propane inverter compressors, which use an external variable frequency drive to control the speed of the compressor. DELTA combi freezer combines the advantages of both, a chest freezer and a freezer cabinet. It has a large loading capacity, wide display and ensures the optimum temperature to keep frozen food in the best condition. Non heated triple-glazed doors Termofrost Eco-Clear X by partner SCHOTT is installed in the cabinets, ensuring good thermal insulation and energy saving, because no electricity is required for heating the doors. Delta is a powerful sales tool for any layout supermarket. 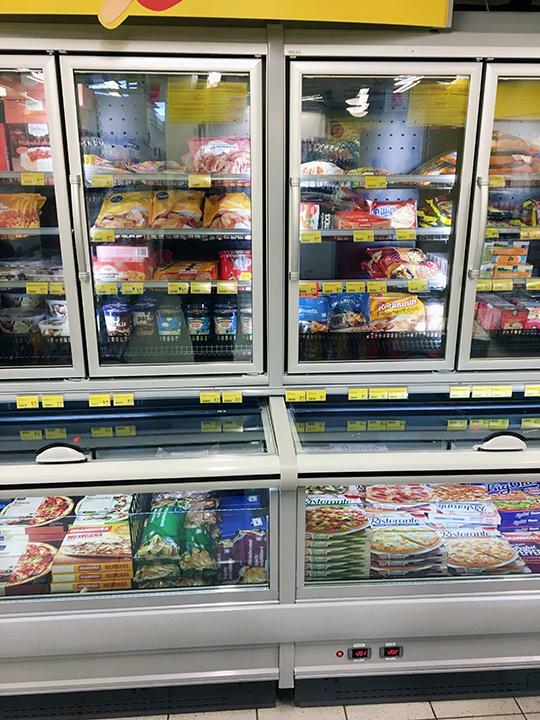 Why plug in refrigeration equipment? 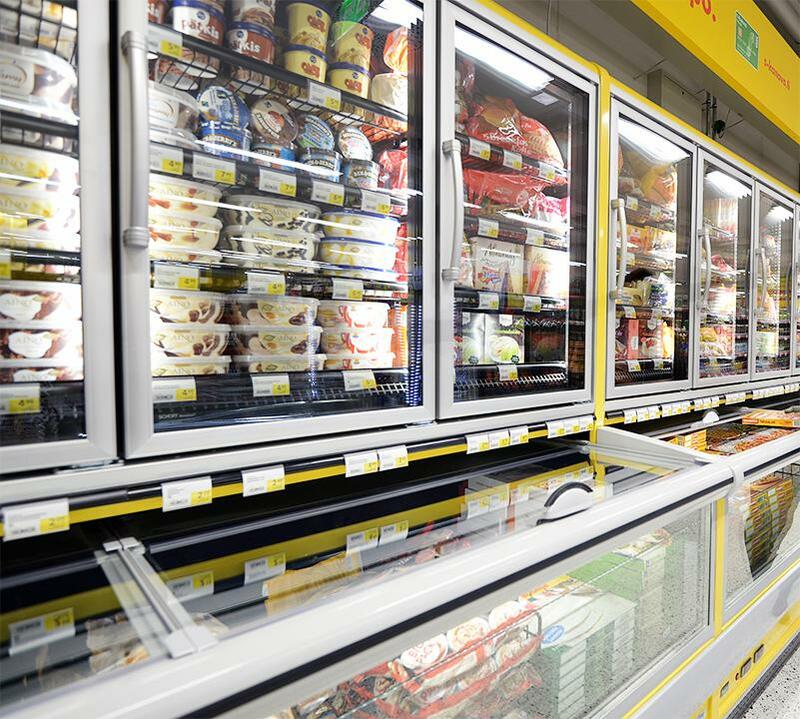 Plug in refrigeration equipment has all the components involved in refrigeration cycle, including compressor, condenser, thermoregulation valve and evaporator, fitted inside the unit. All of this help save up to 70% installation expenses and about 30% energy costs if compared with non-autonomous equipment. 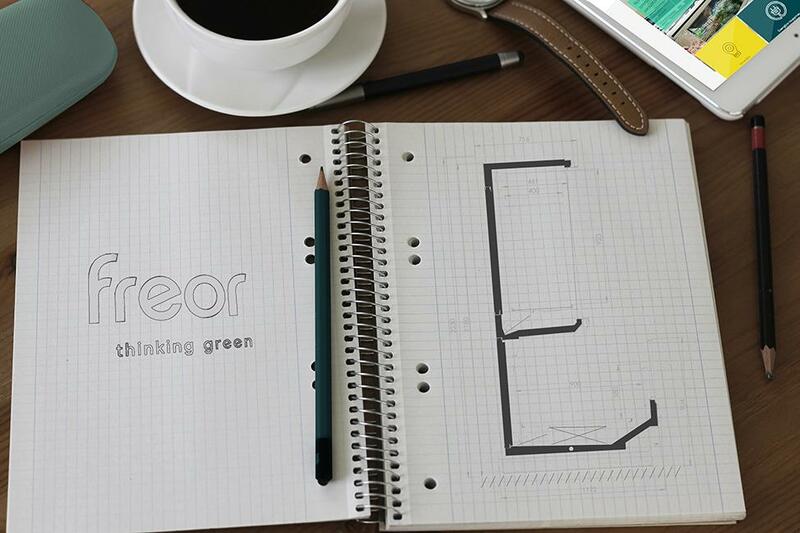 Environmentally friendly solution with a small quantity of refrigerant (up to 80% less refrigerant) and the minimum possible leakage (0–4%). Saves floor space, because no need for special refrigeration room. Convenient components or equipment replacement, because you don‘t need to stop the entire system. 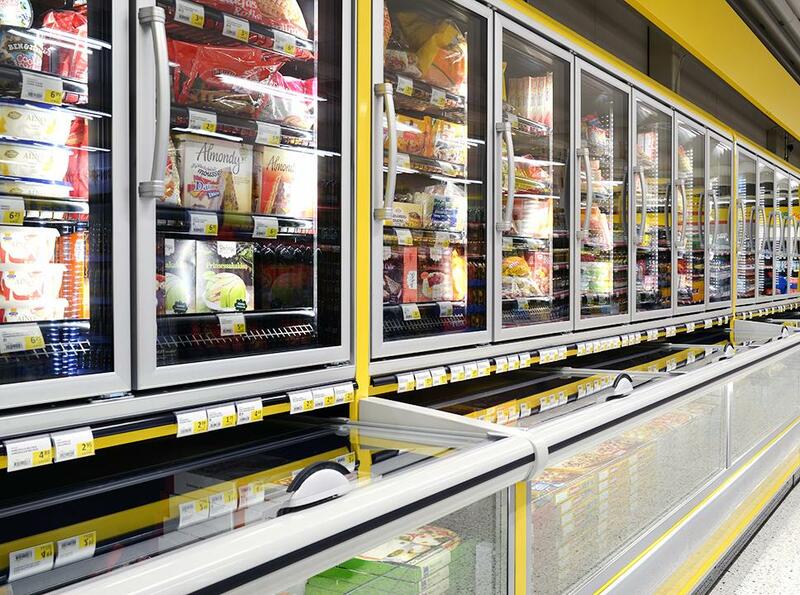 Every refrigerator operates as a separate unit, therefore failure in one piece of equipment does not affect the others, and potential loss of products is minimised. We offer plug in refrigeration equipment with “green” refrigerant propane R290. It is environmentally-friendly and has no effect on the ozone layer, furthermore, it has excellent cold transmission properties. What are the benefits Hydroloop system?